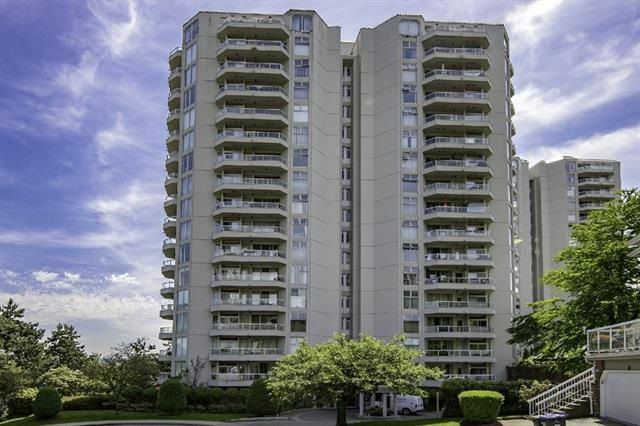 This spacious concrete condo is perfect for someone downsizing from a detached home. This sixth-floor corner unit is actually only two stories off the ground making stairway access to foyer easy. Two, bigger-than-most, balconies connect all principle rooms to the outdoors. Natural gas fireplace with gas included in maintenance fee. Open living and dining area. Two bathrooms, in-suite laundry, one parking stall and a storage locker. This unit faces away from traffic and trains and enjoys a view of the river. Fantastic recreation facilities with indoor pool, swirl pool, sauna, games room and amazing gym! This building is in A1 condition with updated roof, plumbing, hallways, boilers, new elevators, recently painted exterior and windows resealed.